Though it may not feel like it everywhere yet, the calendar says spring is here. But that doesn't mean we're out of the woods when it comes to this year's nasty flu season, experts warn. Flu season peaked in February and the majority of the country has finally seen a dramatic decrease in flu activity. However, flu seasons have long tails and doctors expect to see cases even into May. This year's flu season was particularly rough, and appeared to hit children harder than usual. The virus has been responsible for 142 pediatric deaths so far this season. While health officials say the worst is behind us, there is still some flu virus circulating. What's changed in the mix of virus type. Earlier in the season season, influenza A viruses were causing most of the cases, while now the B type of virus is predominating. "Flu B generally is on the same level of severity as flu A, especially for adults. 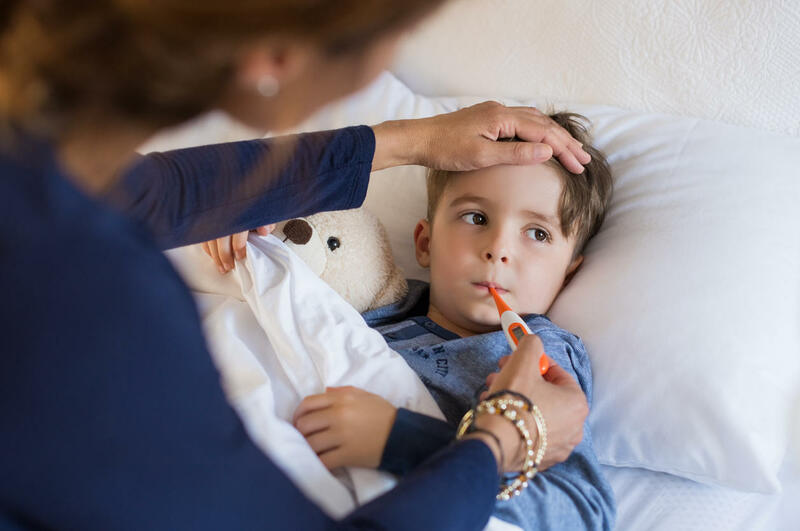 There may be some data to suggest that in very young children, flu B could be more severe," Dr. Branson Godbout of Lenox Hill Hospital told CBS New York. Still, the overall numbers are way down, and even better news is that this year's flu vaccine is a better match for the B type and should be more protective than it was against influenza A. Experts say if you haven't gotten your flu shot yet, it's not too late. And while the flu season is winding down, spring allergy season is just kicking in. Tree pollen levels are moderate right now, but a few warm days will really spike those numbers. So if you're feeling under the weather, how do you know if it's a late case of flu or the onset of seasonal allergies? "If you have high fevers, severe body aches, severe headaches and you just feel wiped out, that sounds more like the flu," Branson said. "If you have a lot of runny nose, stuffy nose, congestion, sneezing and cough, that sounds more like common seasonal allergies." To protect yourself against flu as well as the common cold and other bugs, remember to wash your hands frequently and cover coughs and sneezes. If your child is sick and is having trouble breathing or is getting dehydrated, that's the time to see your doctor. Even though the worst of flu season has passed, the illness can still be serious.